Just as your pets need food, exercise and love, they must also be identified with a microchip and a collar tag. You can get a free collar ID tag from the National Pet Register,which is owned and operated by The Lost Dogs’ Home. It’s quick, easy and you can sign up online at www.petregister.com.au. The recent storms in Melbourne are a reminder of just how vulnerable our pets are to being suddenly frightened, causing many to escape from homes and yards and take flight. Over the Labour Day weekend The Lost Dogs’ Home rescued 92 dogs and four puppies that had escaped and strayed as a result of the storms. Fortunately most of these dogs were able to be returned to owners as they were microchipped or wearing a collar ID tag. The National Pet Register also runs a 24/7 call centre. 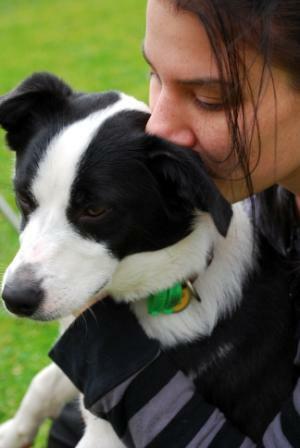 Every week around Australia they reunite over 250 lost pets with their grateful owners. To get your free ID tag and the peace of mind your pet will always have the best chance of being reunited with you should they ever become lost, simply go to www.petregister.com.au to sign up for a tag. You can also make an appointment to have your pet microchipped at The Lost Dogs’ Home Veterinary Clinic, or to find your local vet clinic here. Remember your pet’s identification is only effective if you keep your contact details up to date.